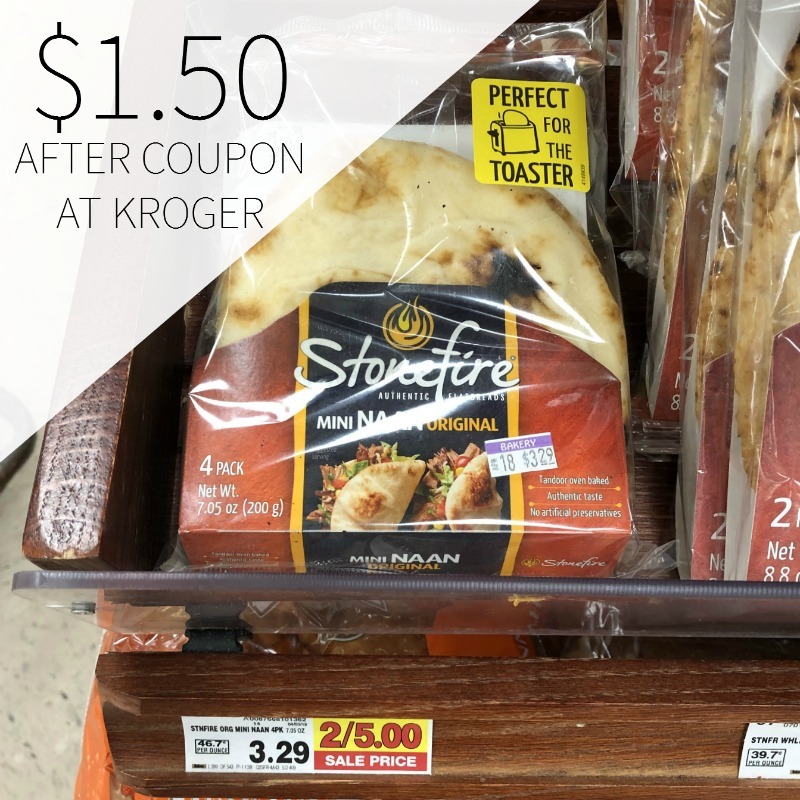 Grab your Stonefire insert coupon and get the naan for half off the regular price. These are great for sandwiches, dips and my favorite—flatbread pizza! The same original recipe and taste, made small enough to fit in your toaster. The perfect complement to any meal, serve them for breakfast, make pizzas, or enjoy them on their own as a fast snack. 4 per pack. -$1/1 Stonefire Product, exp. 7/31/19 (RMN 04/14/19) [Limit 2] $1.50 after coupon.